Overnight parking is OK. Check-in with security. Overnight RV Parking is OK with fresh water and dump station available. 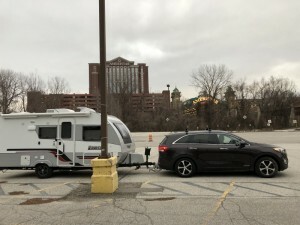 Great stay in the casino parking lot. Large section designated for RV’s. Fresh water and a free dump station. Security patrolled the lot. The casino was fun. Lots of music memorabilia. So fun to see. Lots of areas to just lounge with a drink and people watch. It’s an easy walk across the street from our parking area to stores and restaurants. We highly recommend this place! Stayed overnight and security was around about every 30 minutes. Very clean and well lite food was very good. Lots of any type gaming devices and tables. Will stay again. 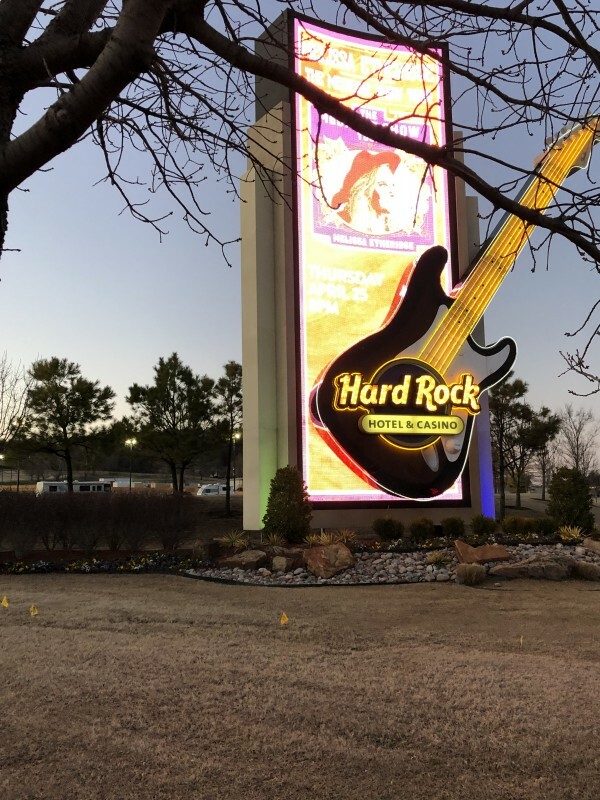 Fairly large casino on the north west corner of Tulsa. Right off exit #240 at I-44 (can't miss it). Lots of slots, tables, etc. It has three stand up bar restaurants, light eating. RV parking is in the extreme northeast corner of the property. Fully paved with a dump station and fresh water. The price is right: zero. The RV parking area isn't too level. I couldn't level in the marked spaces. The perimeter, next to the curb is reasonably level. Good security in the lot. They seemed to be roving somewhere whenever I looked. Check in with security when you arrive. Friendly people. Easy in and out.